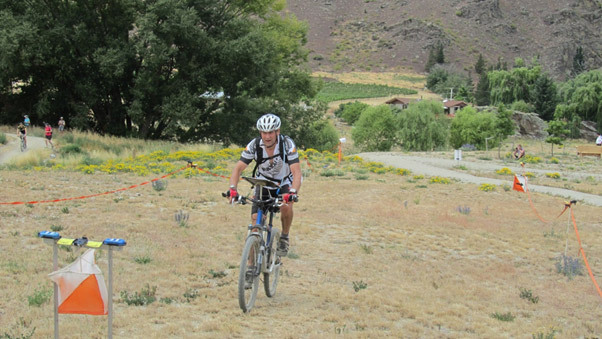 Canterbury's orienteering club, PAPO, is hosting the 2014 National Mountain Bike Orienteering competition in Hanmer Springs on Saturday 22 November - come and join in what we're sure will be a superb event! Situated about 90 minutes drive, 130 km, northwest of Christchurch on Highway 7 to Lewis Pass, set under the shadow of Mt Isobel's forested slopes. 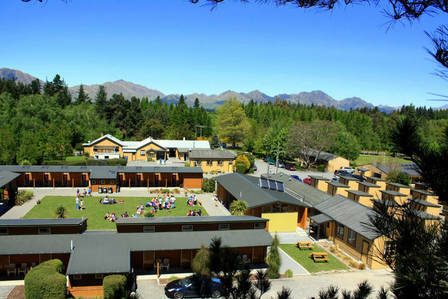 With a quaint village atmosphere, Hanmer Springs (HS) has a resident population of around 850 which doubles in the weekends and school holidays as a major get-away resort location for young and old, hot pool addicts and, most important for all of us, mountain bike heaven! For more official info on the region see Hanmer Springs Village. What's on the menu for the weekend? Where's the event centre and accommodation? Just 2.5km east of town is our event centre Hanmer Springs Forest Camp (what used to be an old forestry camp no less...that was donated to the community and now run by a charitable trust) - big open field with single tracks leading in multiple directions, hall and lodge, budget accommodation, plenty of parking, away from the madding crowds of downtown HS. Perfect for a MTBO event centre where you can hang up your car keys, hang out with like-minded MTBO nutters and enjoy a weekend of riding from your doorstep. Check out the nitty-gritty on competition aspects on the events page. Bookmark this page and watch for registration to open, along with accommodation and dinner bookings. Check out the entry page for more on registration fees. For any info you can't find after sifting through these web pages contact us. Online entry is now available here. The competition will be run under the Orienteering NZ MTBO rules. View or download the MTBO rules.This third version of MTBO Rules for New Zealand has been revised after the Otago and Woodhill2Whaka Carnivals. A master legend with mock-up map is available here. Sport Ident (SI) is required for all competitors - ensure you record with your registration. SI sticks can be hired from PAPO for the weekend via the registration process (and handed over on-site with your registration pack). Junior class is for competitors who are aged up to 20 years i.e. born in 1994 or later. All the courses are for individual competition with interval starts. However we're absolutely happy for recreational class to ride in pairs or groups (up to 4) - just declare your class as 'recreational group' in the registration process with one name. The Hanmer Forest MTBO map is being completely updated with some new areas and tracks included. Courses will provide a mix of single track and forest roads, most of which offer fast riding. The forest is about 80% coniferous and 20% cut over forest or open land. Terrain is about 50% moderately steep gully spur, 50% relatively flat, but most roads and tracks have gradients suitable for riding up as well as down. And did we mention that you should expect hills?! The courses include sections of forest and public roads which are open to traffic. Road rules must be followed at all times. Keep to the left and beware of other traffic at intersections. Exact courses and combinations of grades on courses for the Classic will almost certainly follow the guidelines found in the rules above. As the Sprint is not a championship there will probably be fewer courses offered with combined classes. The Rogaine 4 hour event is likely to have more than 30 controls - for those of you who are high-scoring competitors ensure you have sufficient Sport Ident capacity (or carry two). We are also offering Recreational (non-competitive) grades as above, so that new-comers and family can enjoy the experience of the MTBO. This can be individual, pairs or groups. Groups (max 4 people) and non-competitive riders may enter the Recreational grades which will be offered on some courses. Note for multiple courses individual fees apply. Orienteering Club members must be paid up and include their club name in the registration process. Note that this fee includes some funds that go back into track building in the Hanmer Springs Forest. The MTBO event would not be possible without the SUPERB efforts of local support, Hurunui District Council, Rayonier and local farmers providing permission for us to access their land. Please ensure you treat all the areas you ride with respect - close gates, keep away from stock, never leave rubbish, don't damage tracks and be courteous to other riders and walkers. Note that if you don't have a map board or other MTBO snazzy accessories, MapSport will be on-site with items to purchase and there may also be some available to hire. To ensure you are all set best to go shopping online in advance at MapSport. In the unlikely case of the event being cancelled for reasons beyond the control of PAPO then any refunds (if available) will be advised after all the expenses have been paid, including those relating to pre-booked accommodation and dinner. You will receive and email confirming your entry and giving you a reference number and instructions for payment of fees by direct credit. Late registrations and those done on the day will be subject to availability and a surcharge and cash payment will be required. What's on the menu at the Dinner function? 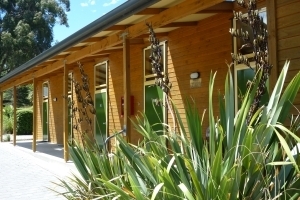 Just 2.5km east of town is our event centre Hanmer Springs Forest Camp. It's a perfect location for our purpose, as long as you're happy with the communal aspect of shared bunkrooms, shared bathrooms, shared kitchen and a social atmosphere. There's no restaurant or shop - but town is very close with plenty of options. Please direct ALL bookings via the registration process as we have block-booked the most suitable rooms and all bookings will need to be pre-paid with your registration fees. The MTBO event participants will be housed in the Ensor Lodge Cabins. This is a purpose built block of 24 cabins, set in 3 wings around a grassy courtyard, with the 4th side made up of bathroom blocks, and a short walk to the MTBO designated kitchen block, the Big Kitchen. The Family-Style Cabins are those that have a double bed and either 1 or 2 sets of bunk beds. The Bunk Cabins consist of exactly that - bunk beds with two sets of bunks. We will take requests for friends to room together (in fact we encourage you to get together as a group and let Sally know for room allocation after you have booked your stay during the registration process). There is also camping sites that you can book direct. Check out time is from 8.30am to 10am latest on day of departure and it's expected that you will leave your rooms tidy with no rubbish, hand in used linen and your room key well before you take part in the Sunday's event. Bedding (sleeping bag, sheets, blankets or duvet and a pillowcase), pillows are provided. HOWEVER linen can be hired at a cost of $8 per set - book this via the registration process. Personal belongings, soap and towels. Tea towels and dish wash liquid. Self catering is available in the Big Kitchen, reserved just for our MTBO group, and we have arranged for a reasonable amount of cutlery and crockery to be available for our use, plus a small quantity of pots, toasters etc. Locals - if you could bring your own cutlery/crockery this would be helpful. We encourage everyone to join in the Saturday night dinner. There's a decent grocery store in the village to get supplies, plus take away options and quite a few bars and restaurants. A popular option is to dine 'al tog' at the hot pools cafe. Do it all when you register for the event, which will include Friday and Saturday nights - for extra nights or queries contact Sally Dickson to secure your booking you will need to prepay $28 per person per night, plus $8 for linen if required. If the above option doesn't spin your wheels then back up the road in Hanmer Springs village there are dozens of motels (this editor recommends Settlers Motel and the Heritage Hotel. Remember this is a super popular weekend resort village and prices reflect that fact. You need to make your own private arrangements...but we'd love you to support the event centre, please. If youâ€™re desperate for a private space check with Sally about options that may suit at the Forest Camp, or you can purchase extra bunk space to have private use of a bunk room. The event team plan to have results published 'live' at the finish line for the Long event, as competitors come in.